Four of the seven initial North Korean suspects left Malaysia on Feb. 13, the day Kim was killed. KUALA LUMPUR: Malaysia says it is hunting for more North Korean suspects over the killing of the half brother of North Korean leader Kim Jong Un. 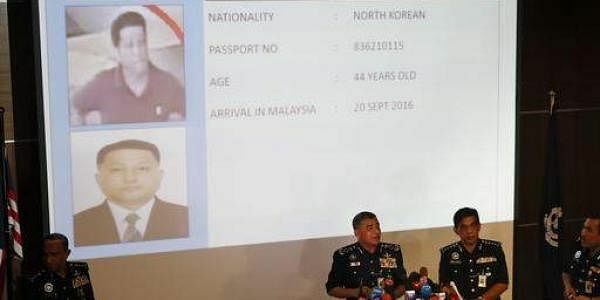 National police chief Khalid Abu Bakar said Sunday that the new suspects are in addition to the seven North Koreans already being sought in last month's poisoning death of Kim Jong Nam at Kuala Lumpur's airport. Khalid said the new suspects include an "important person," but he didn't give further details. Four of the seven initial North Korean suspects left Malaysia on Feb. 13, the day Kim was killed. Police have obtained an Interpol red alert notice for the four men, believed to be back in Pyongyang. Police said the other three men are believed to be hiding in the North Korean Embassy in Kuala Lumpur.